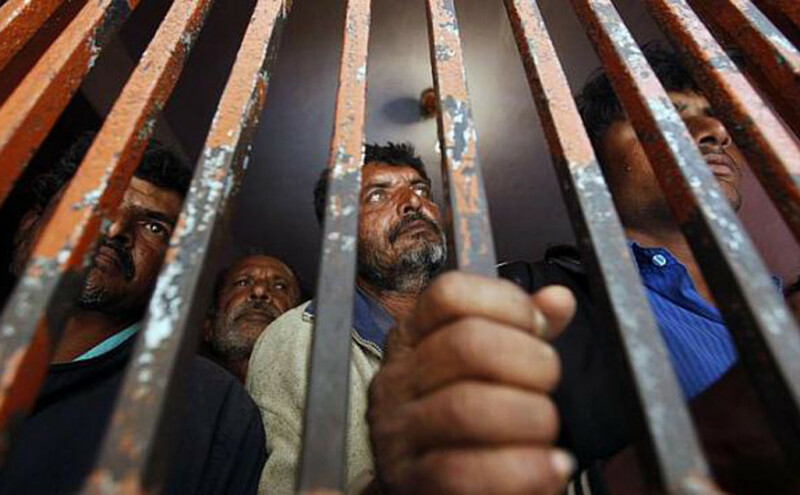 Karachi: At least 45 Indian fishermen have been arrested by Pakistani authorities for allegedly violating territorial waters in the Arabian Sea, police said today. Pakistan Maritime Security Agency (MSA) arrested the fishermen yesterday during a routine patrolling in the Arabian Sea near the port city of Karachi. The MSA handed over the fishermen to police, who have registered a case. A police official confirmed the arrests and said that the arrested fishermen would be presented before the magistrate. Pakistan and India regularly arrest the rival fishermen in the disputed waters as the maritime border in the Arabian Sea is poorly defined. The arrested men usually languish in jails for months and are often released at so-called important occasions like bilateral visits of top leaders. Pakistan set free 151 Indian fishermen when its Prime Minister Nawaz Sharif visited New Delhi last year to attend the oath-taking ceremony of Prime Minister Narendra Modi.